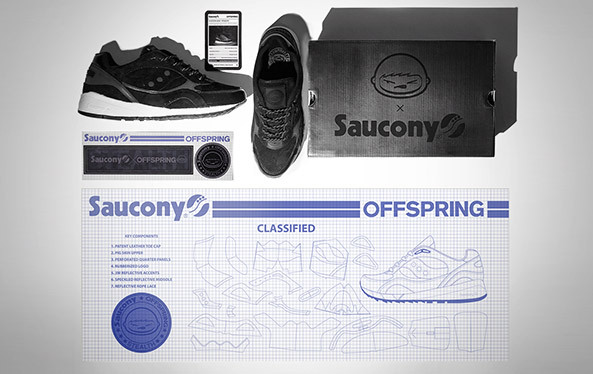 The latest Saucony x OFFSPRING collaboration takes inspiration from the stealth aircraft and its incognito nature. 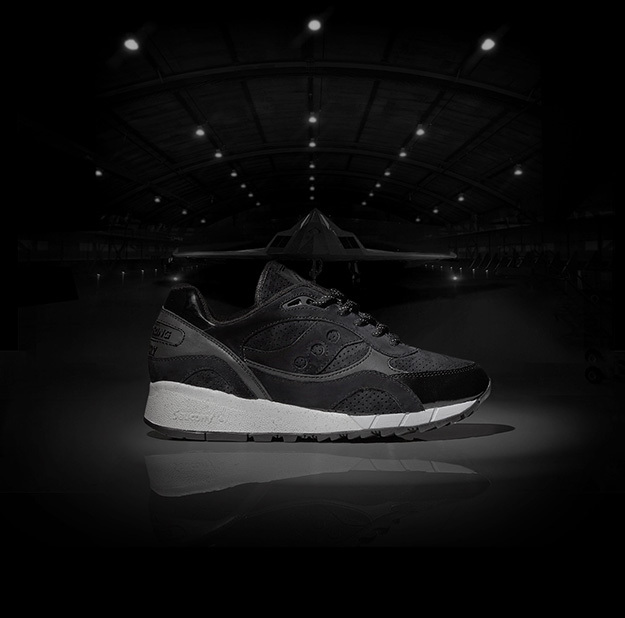 From the patent accents, reflective matte panelling and a hidden reflective speckle on the mid sole, the OFFSPRING Shadow 6000 'Stealth' embodies many of the stealth plane's characteristics. 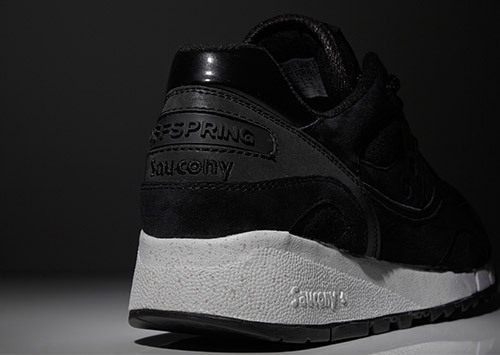 Following on from the success of the debut Saucony x OFFSPRING collaboration last year (dubbed the 'Running Since '96 Pack'), the two brands have come together again to release the Shadow 6000 'Stealth'. Like the previous collaboration, the shoes come in a bespoke box, which features aeronautical blueprint wrapping paper, a matching sticker set and a collectible trump card. 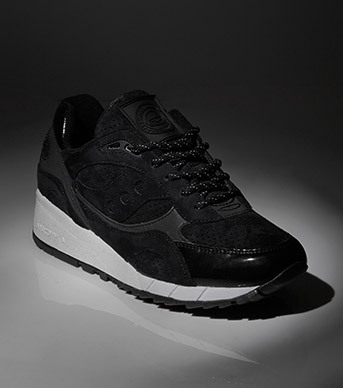 The Stealth aircraft was designed to avoid detection and this exclusive Saucony x OFFSPRING Shadow 6000 'Stealth' embraces the plane's slick appearance, with its mostly black colourway, subtly highlighted with 3M detail. 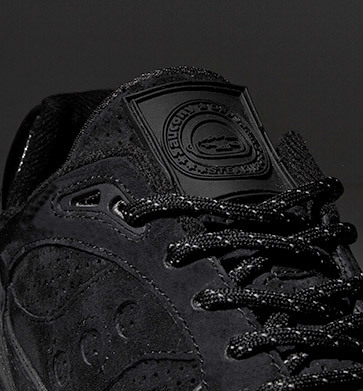 It features a perforated suede base resting under matching suede with 3M and patent leather overlays. OFFSPRING makes its mark with 3D rubberized branding on both the tongue label and the heel and the sole has a flash of contrasting white, speckled with more 3M detailing. . A choice of two reflective laces, rope or flat, round things off perfectly.